JAMPS is calling for papers for the 2017 Winter Conference. Members interested in giving a presentation at this conference should refer to the file below. The submission deadline for paper proposals is Tuesday, October 10, 2017. 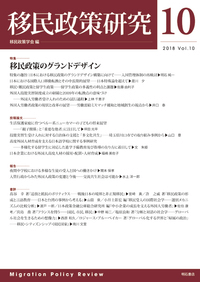 Introduction to the theme of ”Muslim Societies and International Migration in Japan"
JAMPS is calling for papers for the 2017 Annual Conference. Members interested in giving a presentation at this conference should refer to the file below. The submission deadline for paper proposals is Monday, March 27, 2017. The nearest subway station is “Yagoto-Nisseki”. ※Please enter the campus through the Main Gate to access R Building. To download a presentation summary (pdf), click [abstract] on the right-hand-side of the speaker’s name. Please register your participation by E-mail by Monday 27 November. Please put ‘JAMPS reception registration’ in the subject line and indicate your name, affiliation and status (whether you are a student or not). Please make time and visit the Anthropological Institute in the basement of R Building (open 10:00 – 16:30, free of charge). What Kind of Basic Education Opportunities Should be Guaranteed, Based Upon the recent Adoption of the Law? To download a report summary (pdf), click [abstract] on the right-hand-side of the speaker’s name.